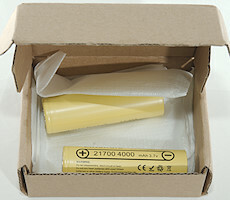 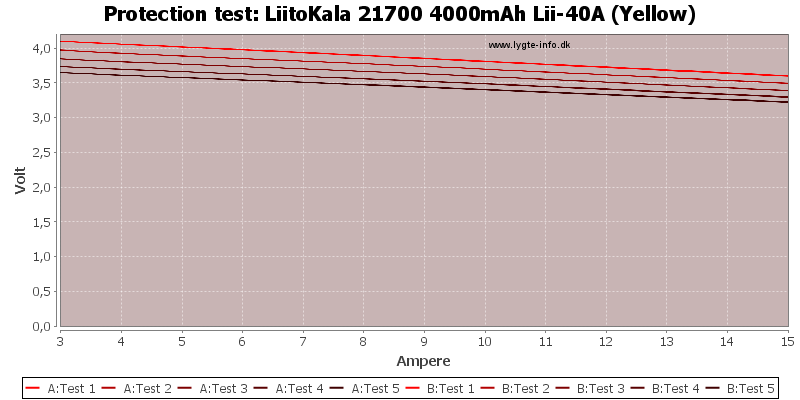 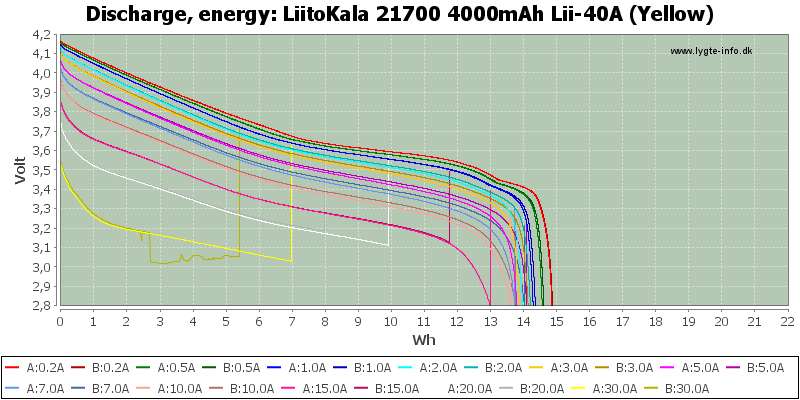 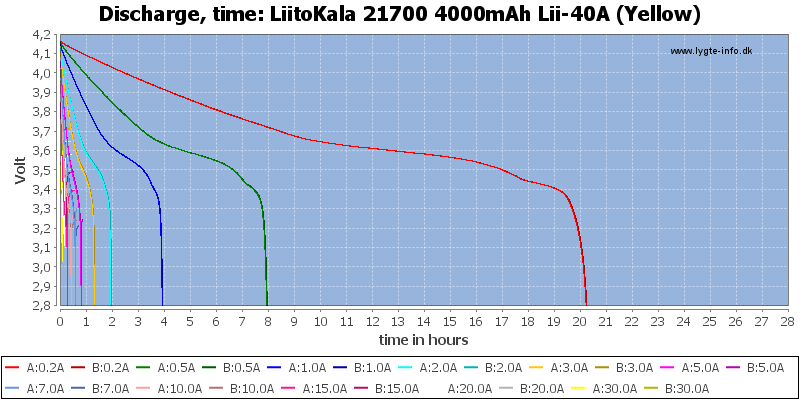 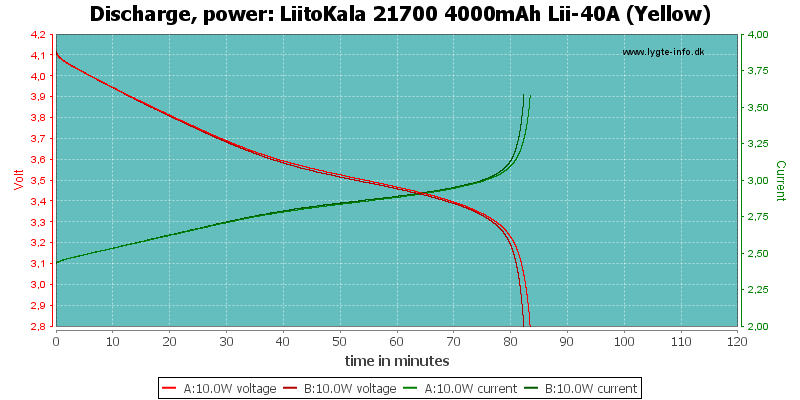 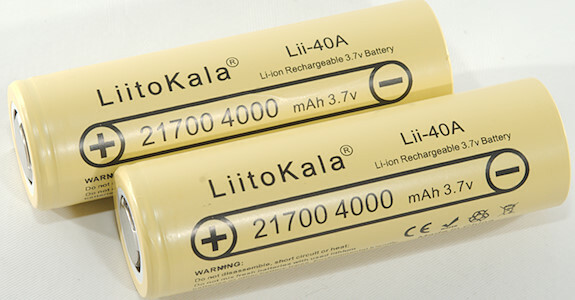 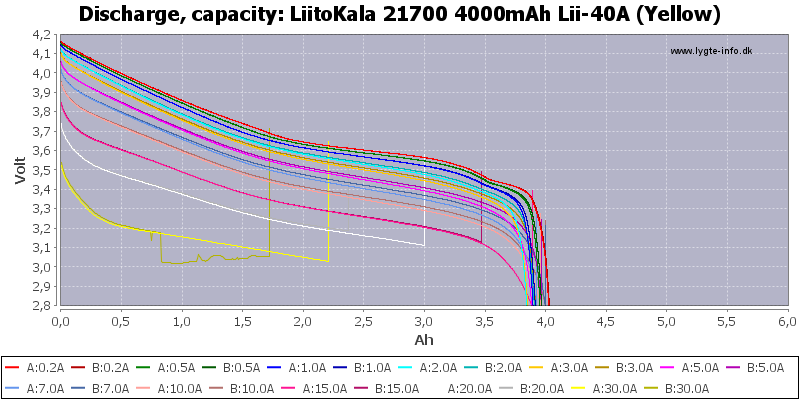 High current 21700 cells from LiitoKala and also with good capacity. 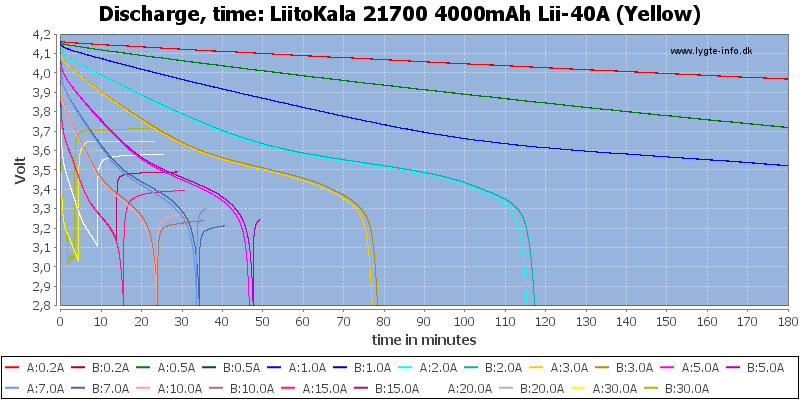 The two cell matches discharge curves fairly well and capacity is nearly constant at any load. 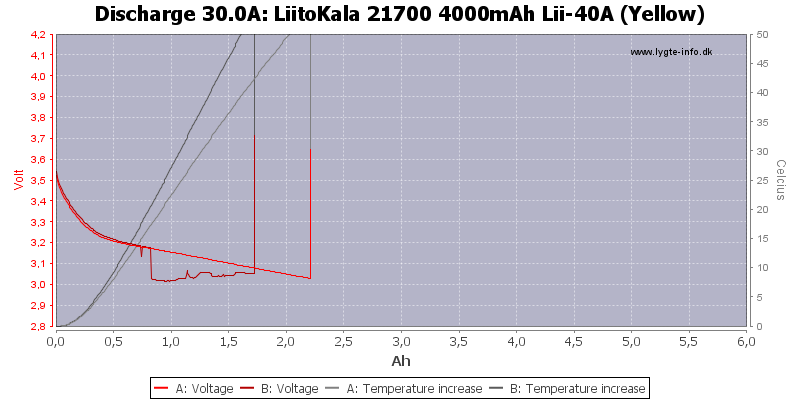 The cells get warm at high current. 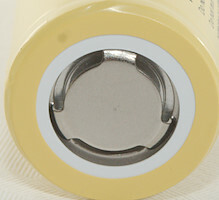 I do not know exactly what happend with the B cell, but my battery holder was melted, i.e. 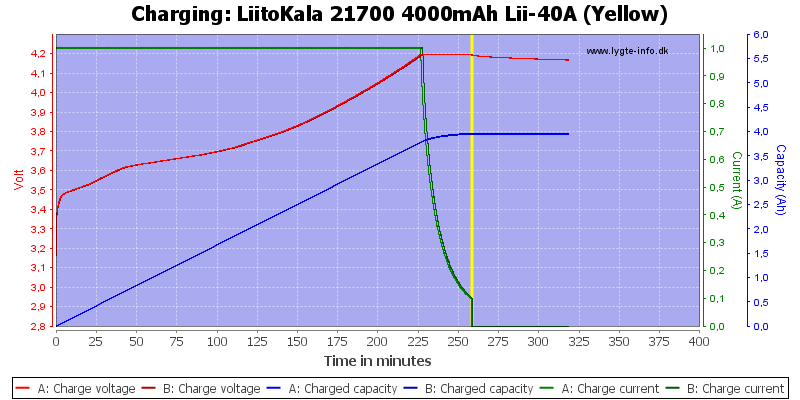 the strange curve is probably due to a damaged battery holder and not the cell. 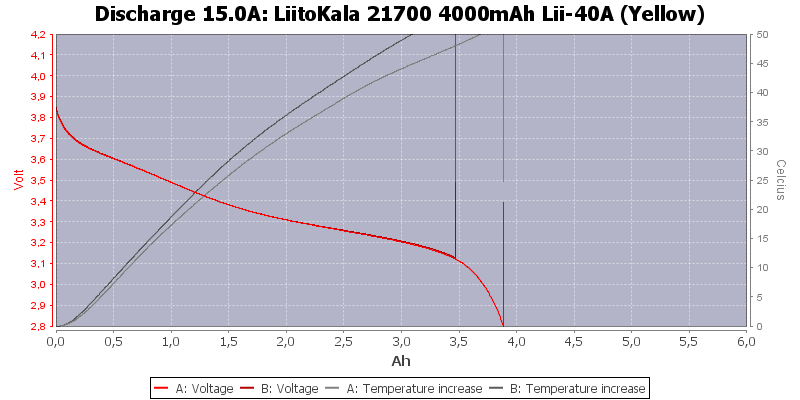 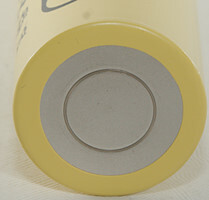 The cells has the rated capacity and capacity is fairly constant with load, but they do get rather hot at high current. 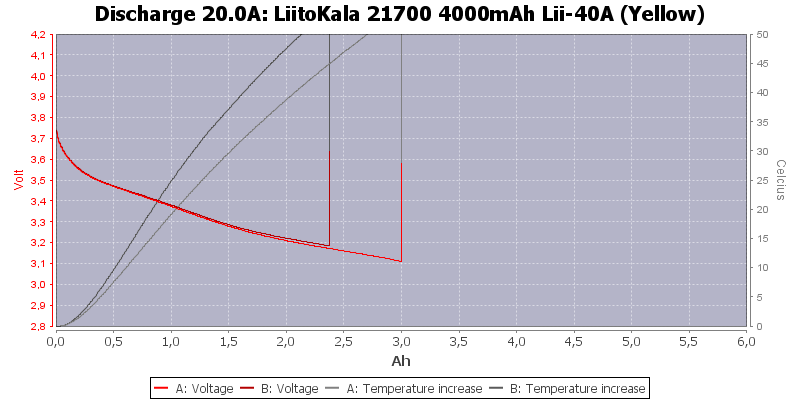 This means they may handle high pulse current, but 20A or more in constant current is not a good idea.